The frontier town of Uri in Baramulla district recorded a 75. 34 per cent turnout, bucking the trend in the Valley, which has witnessed low polling in the first two of the four-phase elections. SRINAGAR: Only 3.5 per cent polling was recorded in Kashmir, while Jammu saw 81.4 per cent turnout in the third and penultimate phase of the Urban Local Bodies (ULB) elections on Saturday. J&K Chief Electoral Officer Shaleen Kabra said overall 16.4 per cent polling was recorded in the third phase of the civic polls. “The Kashmir division recorded 3.5 per cent polling. The Municipal Committee Uri had the maximum voting at 75.3 per cent,” he said. A total of 365 candidates were in the fray for 96 wards of eight ULBs. Srinagar, which has 20 wards, recorded only 1.8 per cent polling. Poll booths were mostly empty at 10 wards each in volatile downtown and uptown Srinagar. 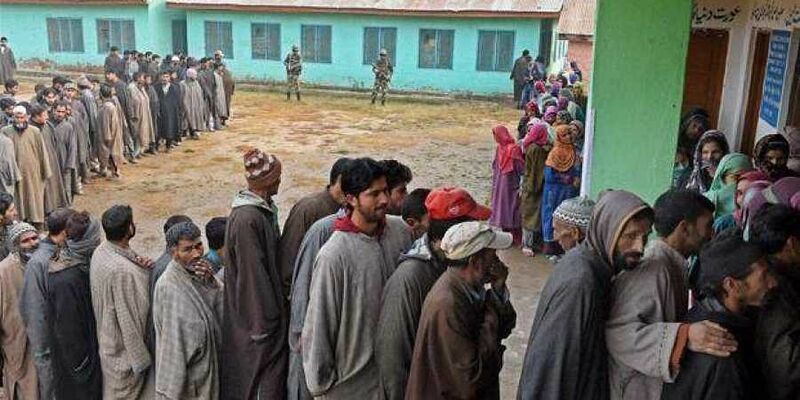 In south Kashmir’s Anantnag, only 3.2 per cent polling was reported. “In Jammu division, the highest polling percentage of 85.73% was recorded in Bari Brahamana,” Kabra said. Srinagar has usually stayed away from the election process after militancy broke out in 1989. The first two phases also saw low turnout — 8 per cent (October 8) and 3.4 per cent (October 10) — in Kashmir. The final phase of polling is on October 16.